Berroco has managed to amalgamate the perfect blend of luxury fibers for a fabulous price point. 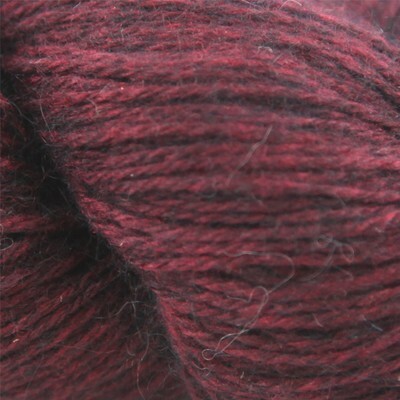 Andean Mist, new for Fall, is a luscious composite of 74% Baby Suri Alpaca and 26% Mulberry Silk. The resulting mix is a softly haloed, slightly shiny, lightweight yarn that would be shown to its best advantage in a soft lace shawl, a drapy cardigan to throw over a tank in the early fall, or a turtleneck in the heart of winter, or a decorative scarf to augment a solid-color top. 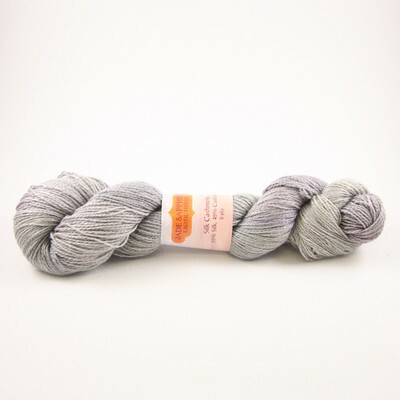 A generous 164 yards a skein for $8.00 is almost a steal! Check out this new video on our website for a walk through all of Berroco’s newest creations, this among them. 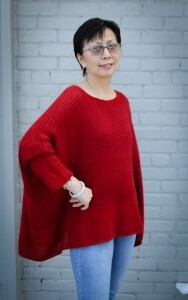 I love this pattern for a textured cardigan with a striking deep ribbed collar. 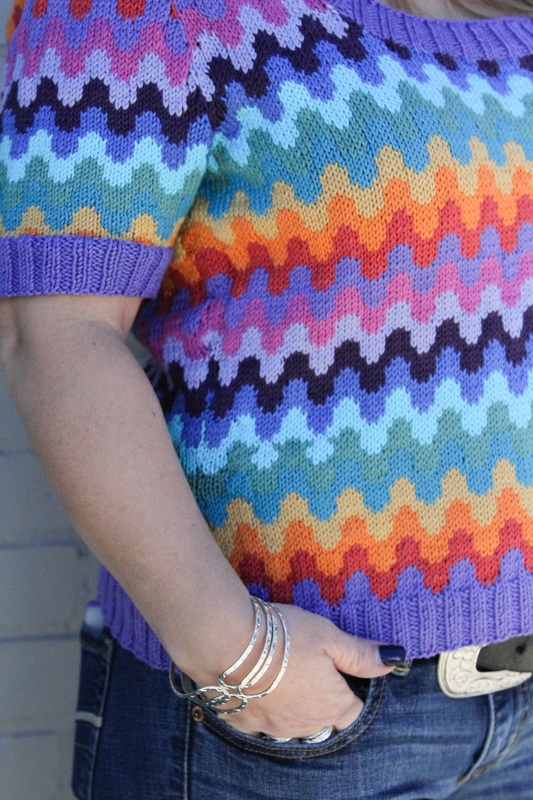 It would be warm, but not hot, light, but not itchy, and could be worn while snuggling on the couch with a good book, or out to dinner at your favorite restaurant. 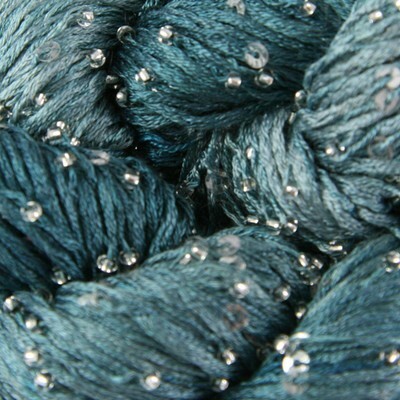 What would you knit with this lovely stuff? When you first walk through WEBS’s doors, you might be overwhelmed by the wide array of colorful yarns and sample garments on view. Sample garments are the first impression you’ll get of a yarn and we try to offer as many samples as we can for you to enjoy. You’ll find the garments and accessories located throughout the store; often you’ll have to look up to see samples on the tops of bookcases! 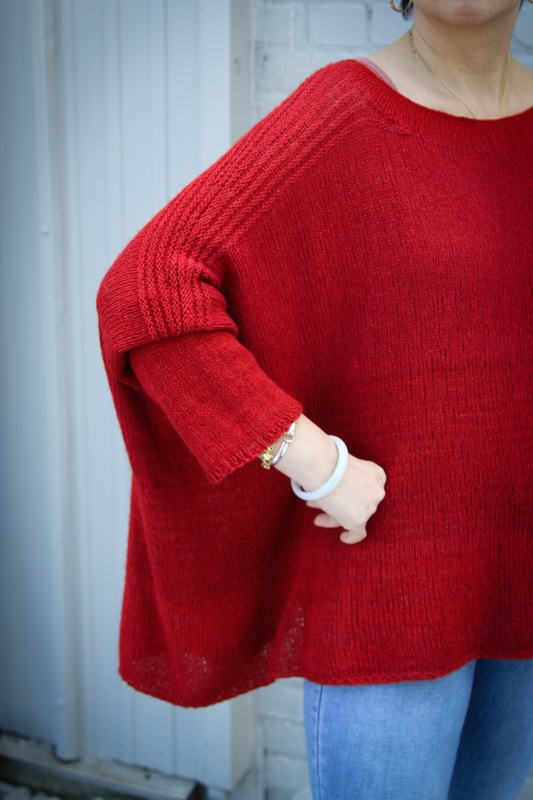 From now on, we’re making our sample sweaters in the medium size, rather than the typical small size, to accommodate a more realistic range of body types and sizes. If you’re interested in a particular design, please feel free to try on the sample and ask questions about it. Our associates are always happy to help you. We try to keep our store samples updated and fresh for each new season. This month we’ve added several garments and accessories that show off some of our new spring yarns and familiar yarns as well. 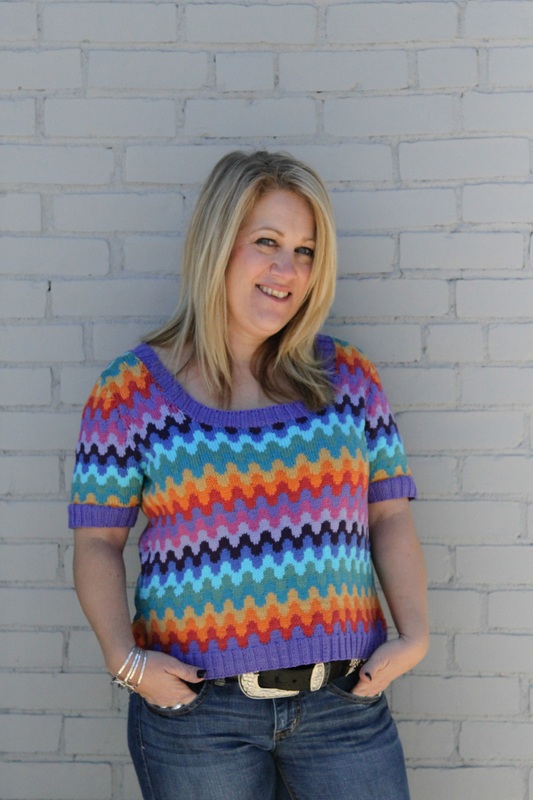 When Katia Big Ribbon arrived for spring, I was bowled over by the variety of colors and knew this yarn was made for a fun, summer-y accessory. This free crocheted slipper pattern, modeled by Mary Anne, is available free of charge on the Knitting Fever website. 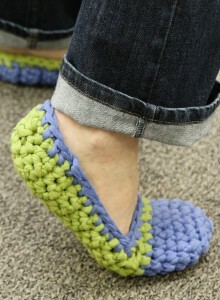 One ball of this super bulky yarn is sufficient for a pair of solid color slippers. But if you buy two colors, you can mix and match them as we’ve done and have enough yarn for two pair! 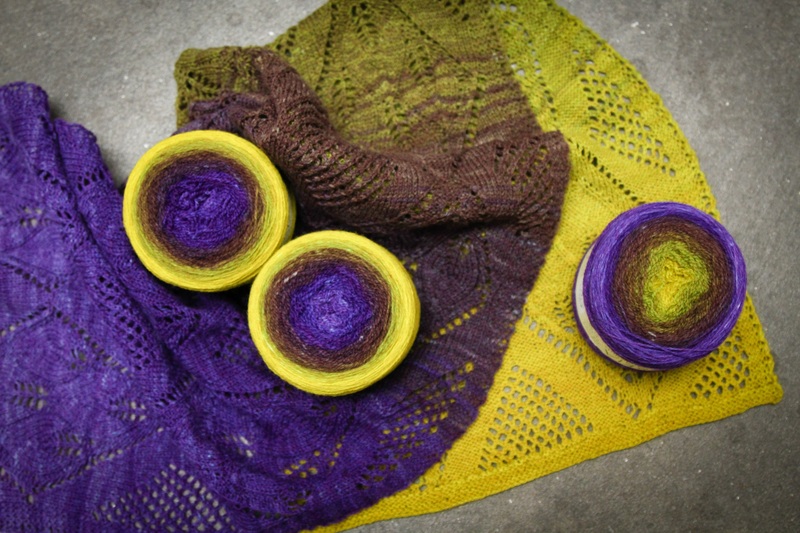 We’ve carried Freia Fine Handpaints Ombre Lace for several months and, as gorgeous as it was in the ball, it needed to be knit to truly illustrate its’ beauty. I chose KnitWhits “Sonoma Scarf” which is available as a PDF on our website. 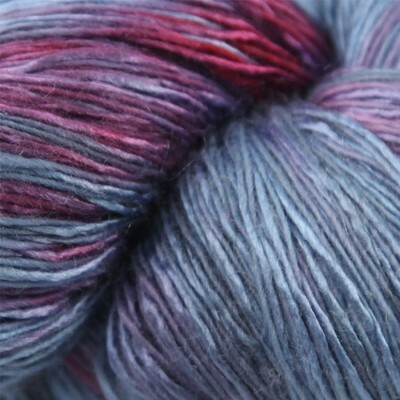 Our laceweight sample was knit in the Grapevine colorway but please check out the other beautiful colorways we carry. “Surf,” designed by Martin Storey and featured in the newest Rowan magazine 55, is an explosion of spring and summer color! Knit in Rowan’s mercerized Cotton Glace in 11 glorious shades, this slightly cropped pullover is classic but stylish and looks perfect on our model, Bonnie. We’re excited about these new store samples and we hope you do too—please visit the store soon and check them out! 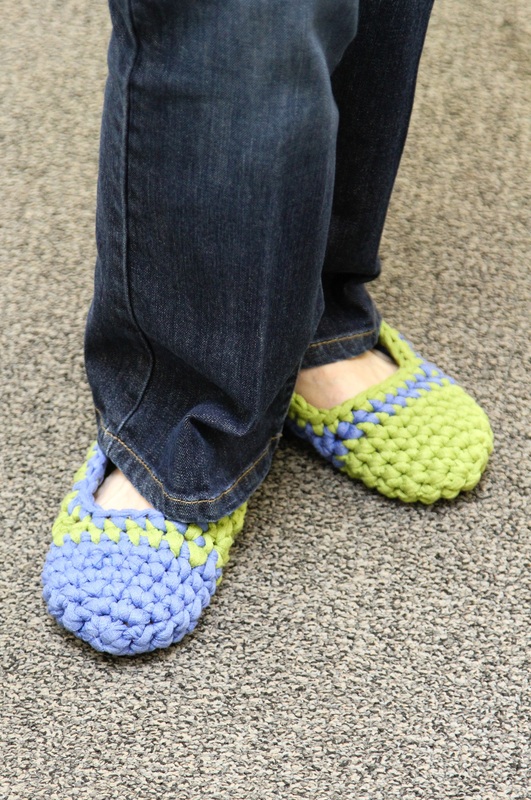 It’s National Crochet Month and we’re excited to share some of our favorite crochet techniques and trends happening in 2013. 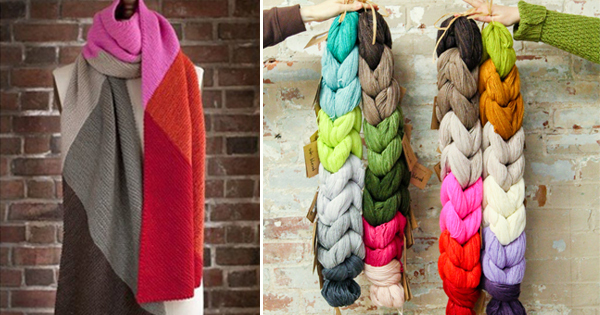 This week we’re focusing on crocheting with luxury fibers. 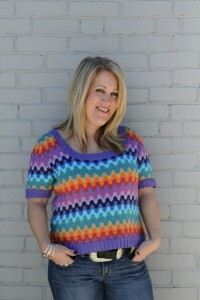 Being able to work with luxury fibers is something every crocheter looks forward to. 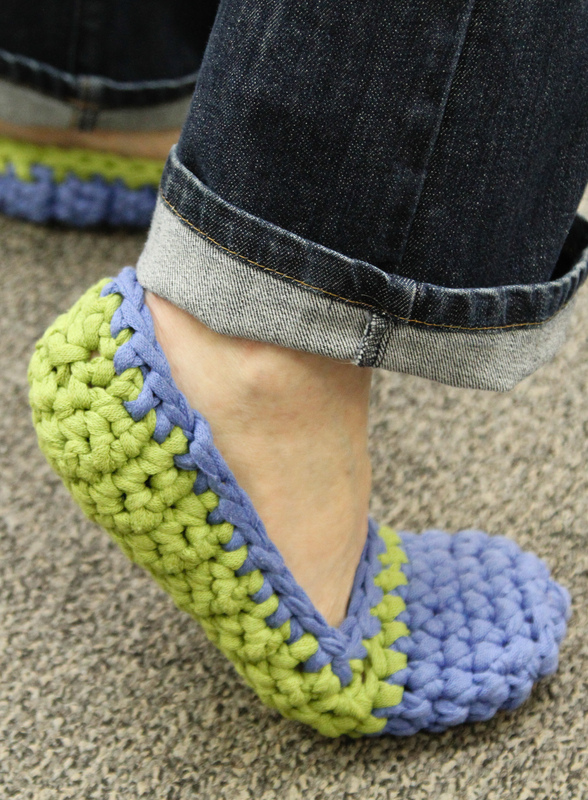 Thankfully you don’t have to win the lottery to indulge in a little high-end crochet. One skein and a simple project can keep the cost down but allow you to add a little something to your wardrobe to makes you feel extra special. And when everyone ask you about it you get to say it’s silk or cashmere or even mink! 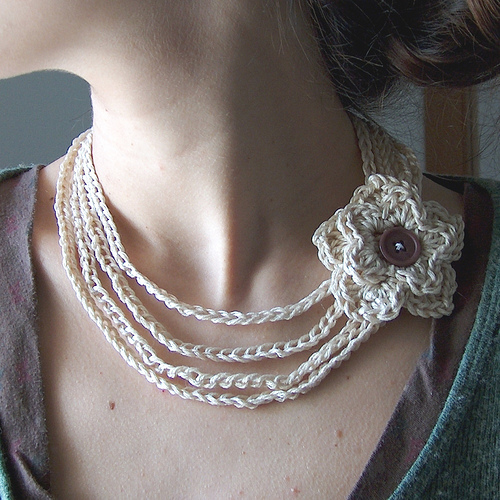 Start with a nice small project like this simple Crochet Necklace by Creativeyarn but go luxury by using Artyarns Beaded Pearl and Sequins yarn. Try something a little larger like the Julie Cuff from Robyn Chachula‘s wonderful book Blueprint Crochet but work it in a skein of Mimi by Lotus Yarns which is 100% Mink! 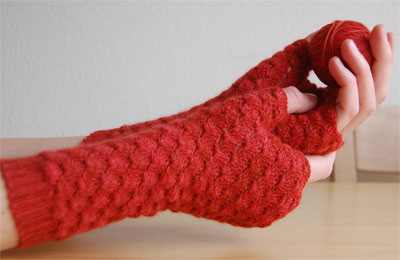 If you’re ready for a slightly bigger project why not go for Julia Vaconsin‘s gorgeous Phoenix Mitts and work them up in the luminous Ensemble Light from Artyarns, an amazing blend of silk and cashmere! 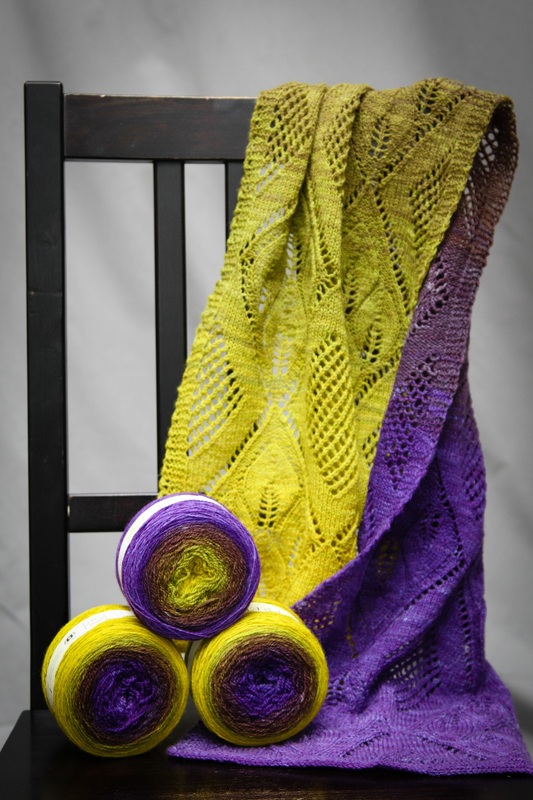 When you’re ready for a bigger project with lots of impact visually, but not on your wallet, try a scarf or wrap like our Crocus Lace Stole. A single skein of the Silk Cashmere from Jade Sapphire would feel amazing around your shoulders and neck, and since this is an easy 1 row pattern you can just keep working till you run out of yarn. 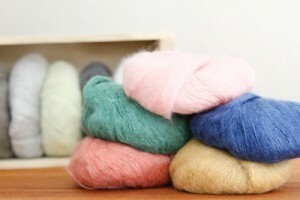 Have you worked with any luxury fibers? What’s been your favorite?